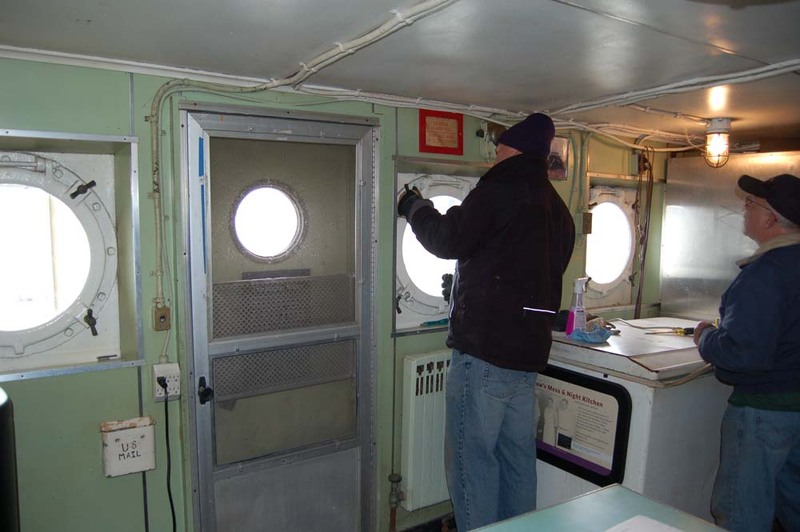 This fun-filled day begins with donuts and coffee at 8:45 in the galley, the crew then pitches in and tackles the jobs at hand until chow in the Captain’s Dining Room at 12:00, regardless of how much fun we are having, we will wrap-up at 2:00. Free parking is adjacent to the Mather, which is docked beside the Great Lakes Science Center (GLSC). Remember to dress warm and bring work gloves. You will earn ASPS service hours while helping the GLSC prepare for summer visitors. The William G. Mather was build 50 years before the Edmund Fitzgerald and is 100 feet shorter. Those differences aside, they are both bulk carrier Lakers which moved iron ore on the Great Lakes. The GLSC staff will provide a ship tour for any volunteers that are interested.